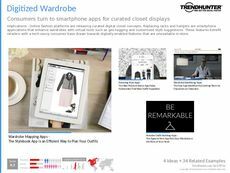 Find Better Ideas, Faster ® with a custom custom fashion trend report, our PRO Dashboard and 80+ categories of premium trend reports. 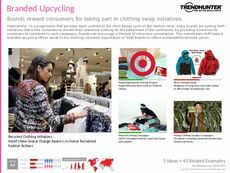 The Custom Fashion Trend Report is a fashion design, manufacturing and marketing-focused resource. With the appeal of personalization on the rise, clothing brands that offer custom materials, patterns and concepts are thriving among Millennial audiences. Exploring examples like NIKEiD, we examine fashion retailers that provide computer programs in-store, allowing shoppers to customize shoes and clothing items. We also look at projection technology that allows consumers to see alternate colors and patterns in a mirror, without needing to try anything on. 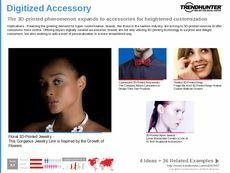 This report is ideal for fashion designers, retailers and marketing teams looking to create more products and fashion lines that feature a customizable component. Retail display designers will also benefit from this report, along with manufacturing professionals and technology developers. The Custom Fashion Trend Report examines the rise of personalization in the realm of fashion and retail.